Preferred Customers: Orders a minimum of (1) bottle per month for a "minimum" of (3) three months on auto-ship. Auto-ship simply means that your order will be shipped automatically each month on the same day. 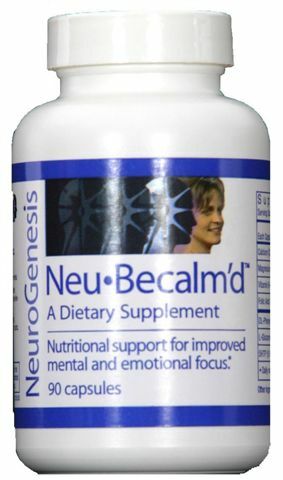 4 Bottles of Neu-BeCalm'd at the One Time Preferred Price of $151.00 plus Shipping - No Autoship. 6 Bottles of Neu-BeCalm'd at the One Time Preferred Price of $226.50 Plus Shipping No Autoship. 4 Bottles of Neu-BeCalm'd Chewables at the One Time Preferred Price of $144.00 plus Shipping - No Autoship. 6 Bottles of Neu-BeCalm'd Chewables at the One Time Preferred Price of $216.00 Plus Shipping -No Autoship. 4 Bottles of Neu-Relieve at the One Time Preferred Price of $138.00 plus Shipping - No Autoship. 4 Bottles of Neu-Recover at the Preferred Price of $151.00 plus Shipping - No Autoship. 6 Bottles of Neu-Recover at the One Time Preferred Price of $226.50 Plus Shipping No Autoship. 4 Bottles of Neu-Replenish at the One Time Preferred Price of $151.00 plus Shipping - No Autoship. 6 Bottles of Neu-Replenish at the One Time Preferred Price of $226.50 Plus Shipping No Autoship. 4 Bottles of Neu-Slim at the One Time Preferred Price of $155.00 plus Shipping - No Autoship. 6 Bottles of Neu-Slim at the One Time Preferred Price of $232.50 Plus Shipping - No Autoship.